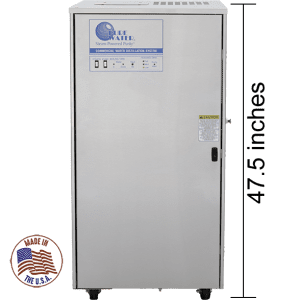 Pure Water Distillers provide medical facilities with the ultimate 24/7 protection against microbiological and chemical contamination of water supplies. Pure Water Brand products have been trusted by medical facilities around the world for over 40 years to provide the ultimate in protection against microbiological and chemical contamination of water supplies. Pure Water is the leading manufacturer and authority on steam-distillation technology, which is the only technology that can offer. Permanent air-gaps built into the process to prevent cross-contamination. Recommended by FEMA, the American Red Cross, and the American Water Works Association. We provide a large range of pure water solutions for the many needs of medical facilities. 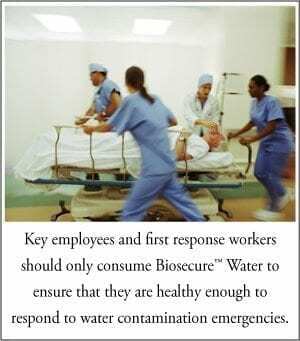 Key employees and first response workers should only consume Biosecure™ Water to ensure that they are healthy enough to respond to intentional and non-intentional water contamination emergencies. As we learned from the 1993 cryptosporidium outbreak in Milwaukee, a major biological occurrence can happen without warning and medical facilities are heavily relied upon during these episodes. As a result of this outbreak, over 400,000 people became sick and more than 100 people died. It’s not enough to react to such events because, as with the case in Wisconsin, the outbreak is often not known for weeks, during which time the key personnel has already been exposed. Protection for key staff must be in place prior to the event happening. Your key staff should receive Biosecure™ Water provided by premium Pure Water Distillers. Many high-risk patients are vulnerable to contaminants that can be in tap water and require a higher level of protection from microbiological contamination. During the 1993 cryptosporidium outbreak, patients admitted to the hospital received the same contaminated water that caused their illness in the first place, which resulted in numerous deaths. High-risk patients, including newborns, should always receive biosecure™ water while they are at the hospital. 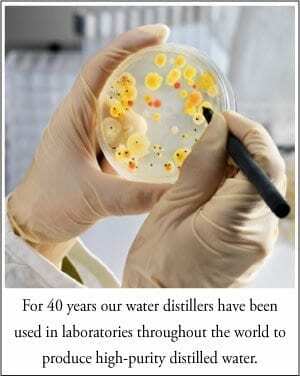 For 40 years, our water distillers have been used in laboratories throughout the world to produce high-purity distilled water. 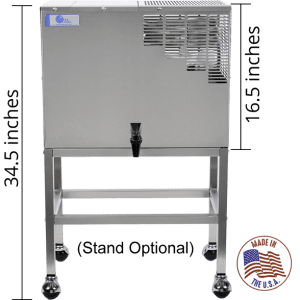 Not only are our stainless steel systems durable and reliable, but they waste much less water and are less expensive than the other brand of popular laboratory water distillers. 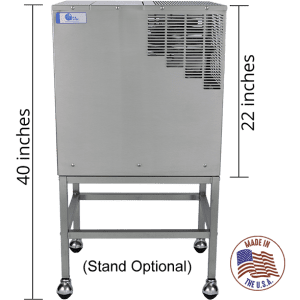 Our water distillers can be configured to meet any grade of water that you need. 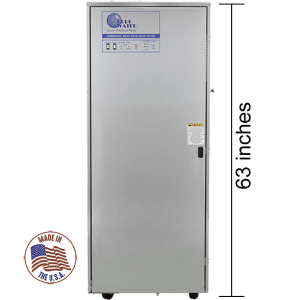 Autoclaves require distilled water for long life and proper operation. Pure Water Distillers provide a simple solution for producing the highest purity water for autoclaves. We provide systems that produce high-purity water for dialysis, especially as it pertains to in-home dialysis. In-home dialysis systems often have a difficult time handling the huge variation of water quality. We have done extensive research on using one of our water distillers to provide high purity pretreatment for in-home dialysis systems (the NXStage system in particular) in extremely harsh water conditions and have proven to be effective even on the harshest water. PURE WATER FOR SCRUB STATIONS, CPAP MACHINES AND MORE. 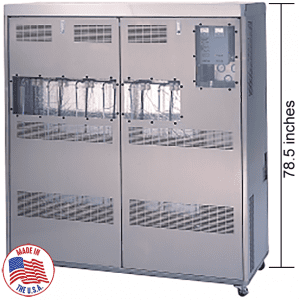 Pure Water provides pure water solutions for all medical applications, such as scrub sinks, CPAP Machines and more. 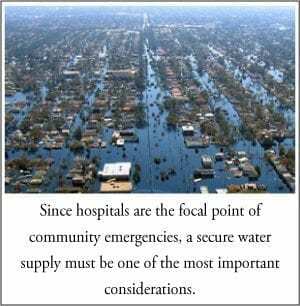 Since hospitals are the focal point of all community emergencies, a secure water supply must be one of the most important considerations for public safety. Pure Water Distillers provide the highest level of security during emergencies and can be used on biologically contaminated water supplies. As an example of the trust we have earned, the Pure Water Brand of water distillers have been used by over 100 US Embassies all around the world. Embassies are particularly vulnerable to terrorist attacks and Embassy personnel has found that steam-distillation offers the best level of protection within the Embassy itself and for Embassy staff who have systems in their residences for 24/7 protection.